Especially suitable for corrosion, moisture,dust resistant and other harsh environments. 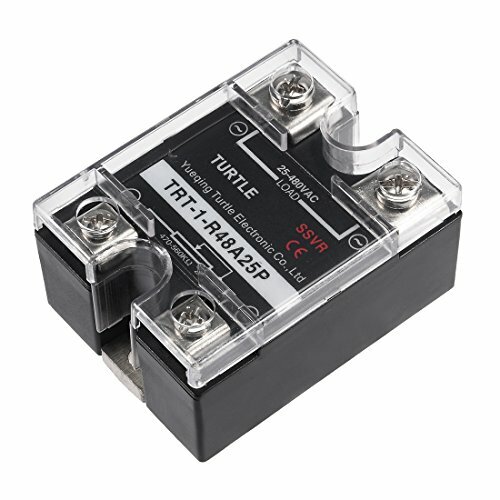 1 x Solid State Relay. It is required that the interface between the radiator and the product must be smooth and clean,and their surfaces must be smeared a layer of thermal silicone grease.Finally, screw the flat washers and spring washers on the screws and tighten them up. The solid state relay should be with radiator when the current more than 20A, with radiator and strong cooling fan when the current more than 30A.